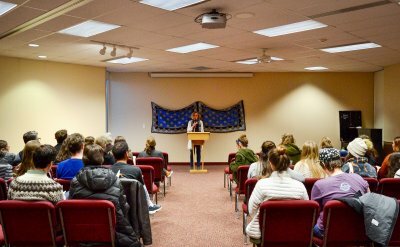 On April 18, 2018, the English Department hosted a PinchPenny Press and Red Cents book release showing off the work of a multitude of student writers and artists. 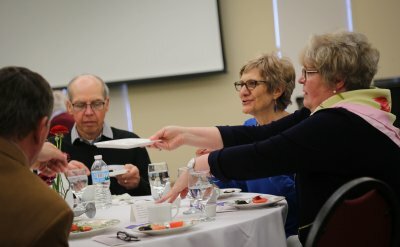 The event featured readings and signings by the authors. 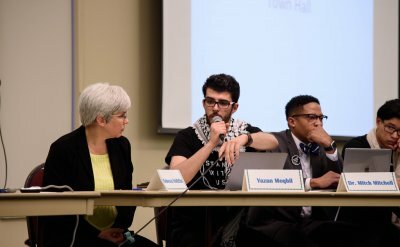 The Intercultural Coalition of Goshen College (ICGC) hosted a town hall meeting on April 11, 2018, to discuss requests posed to the administration about racial injustices on the GC campus. 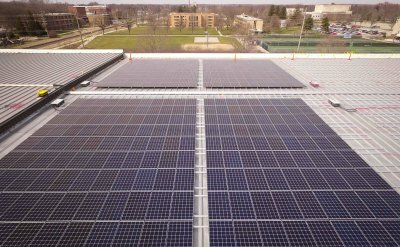 In April, 924 solar panels were installed on the roof of the Rec-Fitness Center, which will generate 277 kilowatts of power, offsetting the college's Church-Chapel building's entire electric bill. 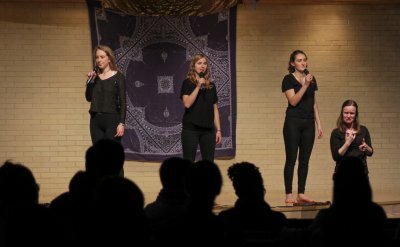 Students competed in Win, Lose, Act, GC's most theatrical game of competitive charades, hosted by GC Players on April 8, 2018. 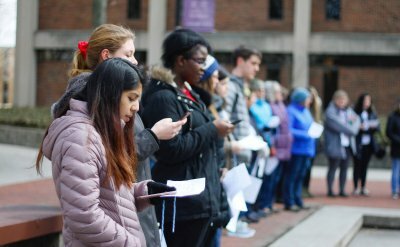 On April 7, 2018, students gathered in Schrock Plaza for a short vigil to come together in solidarity on behalf of voices that aren’t always heard and to anchor themselves in love, inclusivity and hope. 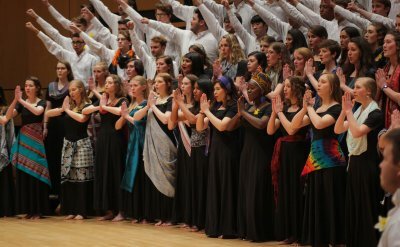 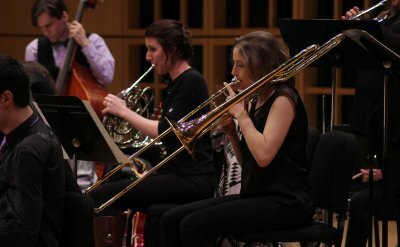 Lavender Jazz, Goshen College’s big band jazz ensemble, presented a free concert in Sauder Concert Hall on Friday, April 6. 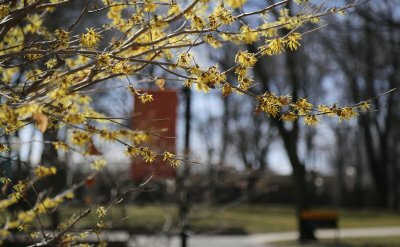 Photos from around campus and beyond, March 2018.